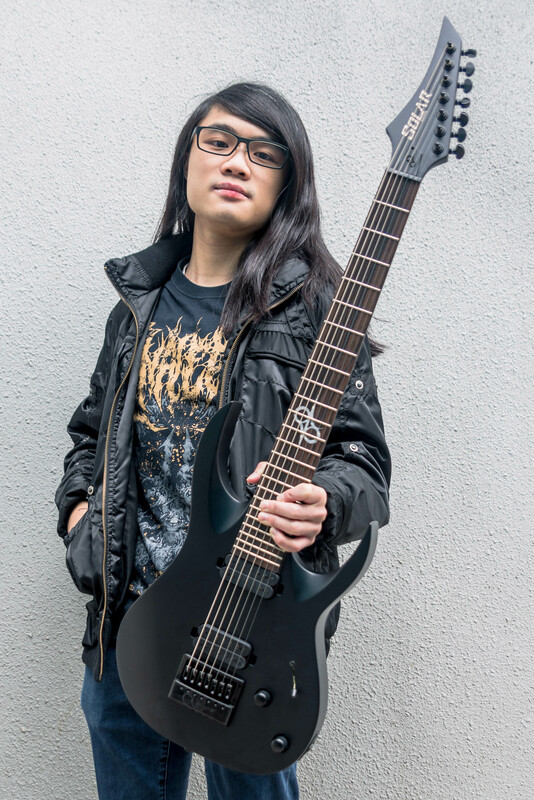 Wilson is a guitar player from Hong Kong who began learning guitar in 2009, at the age of 12 and was highly influenced by slamming brutal death metal, technical death metal and deathcore genres. Inspired by Ola Englund as an online musician, Wilson started his channel ‘’Wilson Thrasher’’ in 2013. Now his channel has been known by covering a variety of extreme metal songs. Since 2016 he joined many featured projects and is currently running 3 bands, all with albums and EPs coming out in late 2018. With the passion for metal music, he keeps refining his guitar playing skills and aims to achieve more in his musician’s life. Elegant design, solid construction, aggressive sounding and high stability. Solar guitars provide all the elements needed for guitar players who spend their time on the stage and in the studio. My A1.7ET is just a perfect brutal weapon. Truly awesome axe!